At Kimbrough Dental Care, we take dentistry very seriously. 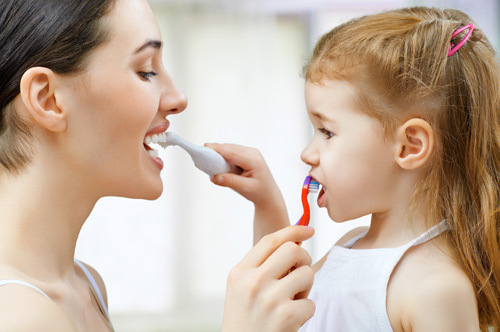 We take pride in providing services relating to the general maintenance of oral hygiene and tooth health. To ensure the health of your teeth and a beautiful smile, we recommend you visit a dentist regularly (at least every six months). If you develop any dental problems that cause you pain and require treatment, Drs. Randal S. Kimbrough and D. Scott Kimbrough and their team of professionals are ready and well-equipped to help you. You can explore our general dentistry services below, or learn how we can help to give you a more beautiful smile in our Cosmetic Treatments section. 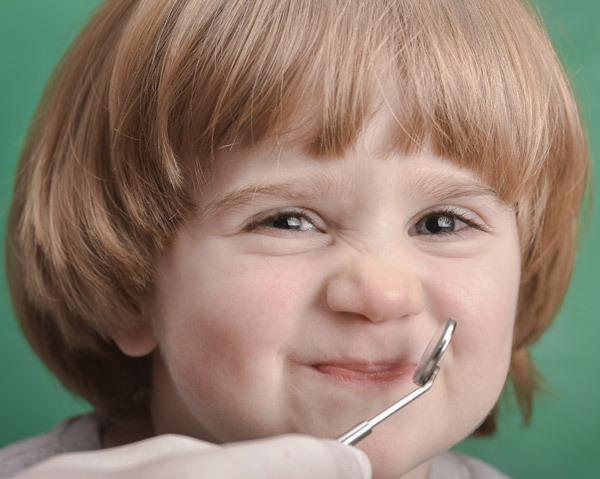 The most likely location for a cavity to develop in your child’s mouth is on the chewing surfaces of the back teeth. Dental sealants are invisible plastic resin coatings that smooth out the chewing surfaces of the back teeth, making them resistant to decay. They are a quick and easy solution for preventing cavities. Sealants are easy to apply, and take only a few minutes to seal each tooth. Dental sealants can protect the teeth for up to 10 years, but need to be checked frequently by a dentist for cracks. According to the American Dental Association, research demonstrates that sealants on 6-year molars can reduce cavities by up to nearly 80% immediately, and up to 60% for four years or more. “I have been coming to Dr Kimbrough for 35 years and I’ll continue as long as they are in the business.” Caroline F.
We are a mercury-free practice, and place Composite Resins, or tooth-colored fillings. These fillings are made with a resin material that blends into the tooth, so the filling is virtually invisible. They can be used on either front or back teeth. Composite resins are matched to be the same color as your teeth, so they provide a natural appearance. The ingredients are mixed and placed directly into the cavity or injury, where they harden. Because resin bonds to the tooth, it enables the dentist to save more of the natural tooth structure, leaving more of the healthy part of the tooth intact. The result is a beautiful smile! If you like, we can easily replace old silver tooth fillings to produce more natural-looking results, and stronger restorations. “They were very kind, considerate, and accommodating. They were also very Professional, thus the best of both worlds.” Bobby C.
Dental crowns are a secure way to fill gaps and help restore your smile if you have missing or damaged teeth. A crown is a cover, or “cap”, customized to cover your tooth. The crown restores the tooth to its normal shape, size, and function. The purpose of a crown is to make the tooth stronger or improve the way it looks. A crown may also be recommended after root canal therapy has been completed, as the tooth tends to become brittle and is more likely to fracture. We are well-known for the quality of our work, and the positive changes we make in people’s smiles using this technology. Fitting a crown normally requires at least two visits to our office. We will initially remove any decay, shape the tooth, and then fit it with a plastic temporary crown. We take an impression of the prepared tooth, in order to fabricate a well-fitted crown that matches your teeth color and shape. Then on the next visit, the new dental crown is fitted and permanently cemented over your prepared tooth. Dental crowns, sometimes referred to as “caps”, are a versatile treatment that can correct a wide range of smile issues. If you have experienced accidents, gum disease, tooth decay, or regular wear and tear, you may be able to correct the problem with a crown. We use long-lasting materials to increase the long term prognosis of the tooth. The materials are also true-to-life and custom-matched to your smile, so no one has to know about your dental crown. “Not a single person beginning to end that wasn’t professional and had great customer service!” Matt B. Dental implants are cutting edge technology, and are a popular and effective way to replace missing teeth. A Dental Implant is a replacement for the root of a tooth, and provides the foundation for a replacement tooth, such as a crown, bridge, or denture. The titanium implant is surgically placed into the jawbone, and then allowed to fuse with the bone over the span of a few months. This makes the replacement tooth as strong as a natural tooth, because it has great stability, and stands on its own without affecting the nearby teeth. There are some important advantages to choosing a dental implant over other tooth replacement options, such as bridges or dentures. Dental implants don’t affect or alter the adjacent teeth, so it is considered a more conservative treatment option. And since dental implants integrate into the existing bone structure, they are very stable, and can look and feel like one’s own natural teeth. Utilizing state of the art computer software to plan every implant placement, we can precisely place the implant in the ideal location, instead of cutting into the gum to expose the bone. Computer guided implants, using digital 3D scans, allow us to place the implant at a pre-planned depth and angle, to avoid contact with nerves and sinuses. Dental implants are making life easier for our patients. With implants, they are rediscovering the comfort and confidence to eat, speak, and enjoy life as they did before. At Kimbrough Dental Care we place Computer Guided Dental Implants, an innovative dental procedure utilizing new digital technology which provides a precise and efficient method to place dental implants quickly, comfortably, and accurately. We are able to get cross-sectional images immediately with our on-site Cone Beam Computerized Tomography (CBCT) scanner, in order to carefully plan every implant placed in advance. With this cutting edge technology, we can see all aspects of the dental implant procedure before it ever actually happens. Since your dental implant treatment plan will already be in place prior to surgery, the implant procedure can be performed in a relatively short time period. Since the exact placement location is predetermined, only a small incision may need to be made in the gum tissue, making the process more comfortable and less invasive. One of the dentists will surgically place the implant into the jawbone. Small posts will then be attached to the implant, in order to provide stable anchors for your replacement tooth. After the implant has bonded to the jawbone, the second phase begins. We will uncover the implants and attach a small healing collar, then start making your new teeth. An impression will be taken, and we will design the final crown or bridgework. Next posts or attachments can be connected to the implants. The replacement teeth are then placed over the posts or attachments. The entire procedure usually takes six to eight months. Most patients do not experience any disruption in their daily life. “Drs. Kimbrough are professional and thorough every time! There’s never a long wait, either.” Cheryl C.
If tooth loss happens, the teeth surrounding it can loosen, and even lead to further tooth loss. When a tooth is missing, the bone itself can begin to shrink, and eventually change the way the jawbone supports the lips and cheeks. A dental bridge will hold your other teeth in place, and make everyday activities such as eating and talking easier. Dental bridges are used to bridge the gap between one or more missing teeth. The bridge is supported by the natural teeth or implants on either side. It is made up of two or more crowns for the teeth on each part of the gap. The crowned teeth act as anchors for the tooth bridge and are known as abutments. The replacement tooth, sitting between the abutments of the dental bridge, is called the pontic. The bridge restores your bite and helps keep the natural shape of your face. A traditional fixed bridge is made up of two or more crowns that are cemented to the teeth on either side of the gap (the anchor teeth), with false teeth in between. A removable bridge consists of replacement teeth attached to a gum-colored plastic support base that is connected with a metal framework. The bridge is then attached with metal clasps to existing teeth or implants. Fixed bridges are bonded into place and can only be removed by a dental professional. Fixed bridges offer more stability than their removable counterparts. Removable bridges, as the name implies, can be taken out and cleaned. They are often recommended when multiple teeth are missing, and the integrity of the supporting jawbone has been compromised. One or more missing teeth are a serious matter, since teeth are made to work together. If you lose a tooth, the adjacent teeth can tilt or drift into the empty space. The teeth in the opposite jaw may also shift up or down toward the space, which can affect your bite, and even cause pain. If your teeth do drift or tip towards each other, they are also harder to clean, putting them at a higher risk for tooth decay and gum disease. The space may also cause the bone to shrink. If that happens, it can change jawbone support, and eventually make your face look older. Your dental bridge procedure normally take two or three appointments to complete. Before a dental bridge can be fitted, Drs. Randy or Scott Kimbrough will prepare the teeth that are going to serve as the abutments by removing a portion of the enamel and dentin. After reducing the teeth for a secure fit, they will take an impression to make sure the tooth bridge is going to fit perfectly, and send it off to a laboratory. They will then fit a temporary crown while the laboratory is making the permanent bridge for teeth. “Dr. Randy Kimbrough & Dr. Scott Kimbrough are fantastic. 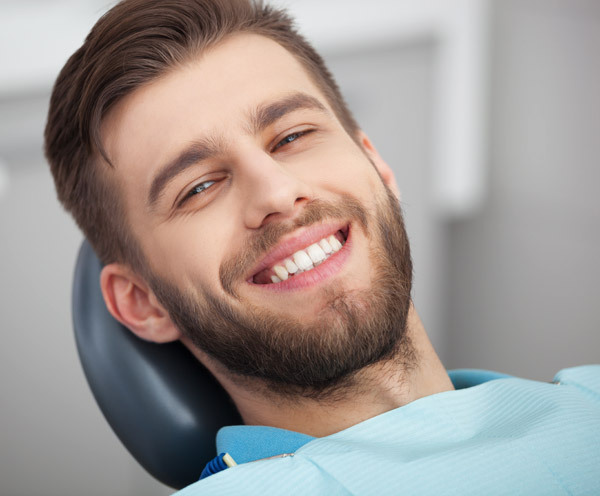 They provide top quality care, an inviting atmosphere, and clear explanations.” Doug M.
A root canal is a common dental procedure that is performed on a tooth that has been damaged by trauma, severe decay, or repeated dental procedures. The innermost layer of a tooth is called the pulp. 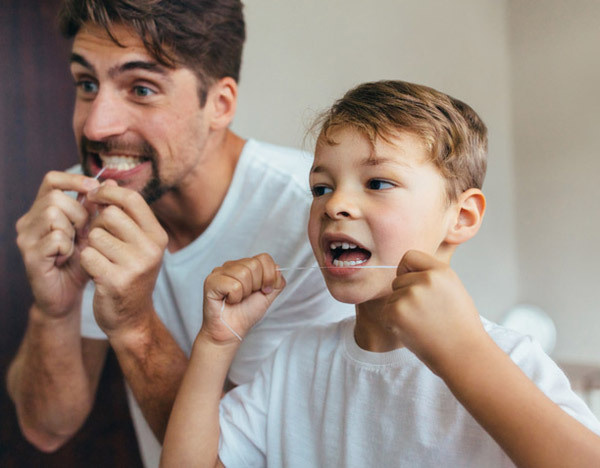 As adult teeth are formed, the blood vessels and nerves that later become the pulp form the tooth, connect it to the rest of the body, and form the center of a healthy tooth. When trauma or infection reaches this inner layer of the tooth, the result is a severe toothache. Advanced decay, facial trauma, untreated cracks and chips, or broken dental restorations can all lead to a need for root canal therapy. Symptoms of an infected tooth are severe pain when biting or chewing, swelling of the area around the tooth, temperature sensitivity, or discoloration of the tooth. During a root canal procedure, the nerve and pulp are removed and the inside of the tooth is cleaned and sealed. Your treated and restored tooth can last a lifetime with proper care. The nerve of your tooth is not very important to a tooth’s health and function after the tooth has emerged through the gums. Its only function is to provide the sensation of hot or cold, and its presence or absence will not affect the ordinary functioning of the tooth. First, an opening is made in the tooth, and the diseased pulp is removed (a pulpectomy). Next, the pulp chamber and root canals are cleaned, enlarged and shaped, and then permanently filled. The treatment is usually accomplished in one or more visits, depending on the condition of the tooth. Finally, a crown is usually placed over the tooth to restore its natural shape and appearance. We use local anesthesia for your comfort during the procedure, and also offer nitrous oxide analgesia if needed. “30 years with our extended family, best oral care, compassionate care, good with young and old!” Connie B.
Tooth extractions can become necessary for any number of reasons. Excessive tooth decay or injury to a tooth can compromise the integrity of a tooth. Severe gum disease may also compromise a tooth, and a tooth that fails to erupt can become impacted. Some young teeth need to be extracted to make room before orthodontic treatment, so teeth have room to move with braces, or simply to allow room for adult teeth to grow. The removal of a single tooth can cause the teeth surrounding it to loosen, which can cause issues with further tooth loss, or jaw/bite problems. So Drs. Randy and Scott Kimbrough will discuss treatment options following the extraction, to avoid further issues. Extractions may be necessary due to overcrowding, decay, or periodontal disease. 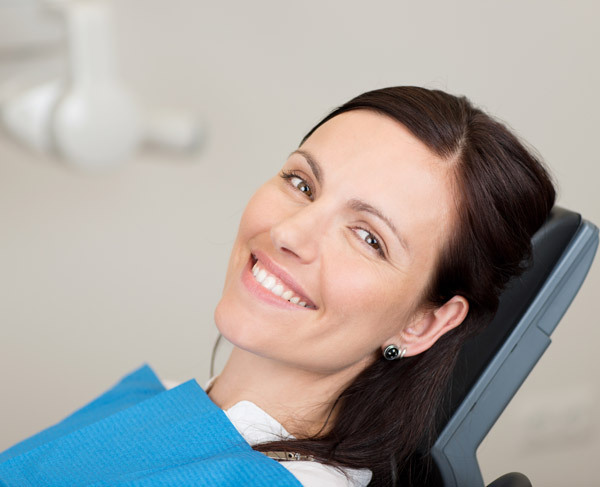 Before a tooth extraction, your tooth, jawbone, and gums will be numbed with a local anasthetic. After an extraction, you can resume your normal dental routine after 24 hours. Before the dentist removes the tooth, he will numb the surrounding tissue with a local anesthetic. During the extraction process you will feel some pressure, but not pain. 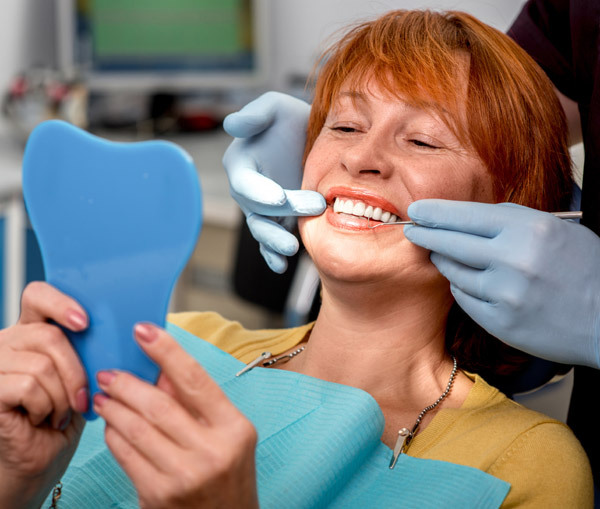 Once the area has been numbed, the dentist will remove the tooth, control any bleeding, and if necessary, may use sutures (stitches) to close the gums. After an extraction, some pain and swelling can be expected for a while. It is important for a blood clot to form to stop the bleeding, so the healing process can begin. You will be asked to bite on a gauze pad for 30-45 minutes after the procedure. If the bleeding still persists after that time, you can use a fresh gauze pad and bite firmly for another 30 minutes. It is very important for patients to follow the post-procedure recovery instructions, which include avoiding smoking, chewing hard or tough foods, vigorous rinsing, and using straws for 72 hours. These activities may disturb the clot and slow down the healing process. Strenuous physical activity should also be avoided for a period of 24 hours, to allow the gums and jaw to heal. If you have any pain and swelling following the extraction, you can apply ice packs on the outside of your jaw, take pain medications as indicated, and eat softer food until the area has healed. Any swelling usually subsides after 48 hours. Your dentist may also prescribe an antibiotic. If antibiotics are prescribed, continue to take them for the entire length of time, even if you are feeling fine. You can eat normally as soon as you are comfortable. Make sure to resume your normal dental routine after 24 hours, including brushing and flossing your teeth twice a day. This will speed healing and help keep your mouth fresh and clean. Within a few short days you should feel fine, and be able to resume your normal activities. If you experience any heavy bleeding, severe pain, swelling that continues for 2-3 days, or if you suspect a reaction to medication, please call our office immediately. “I hate going to the dentist but Dr Kimbrough does a great job and always makes me feel comfortable and cared for.” Kathy W.
Dentures are dental appliances designed to replace missing teeth and help restore your smile. Replacing missing teeth can benefit your appearance and your health, whether you’ve lost your teeth from decay, gum disease, or injury. 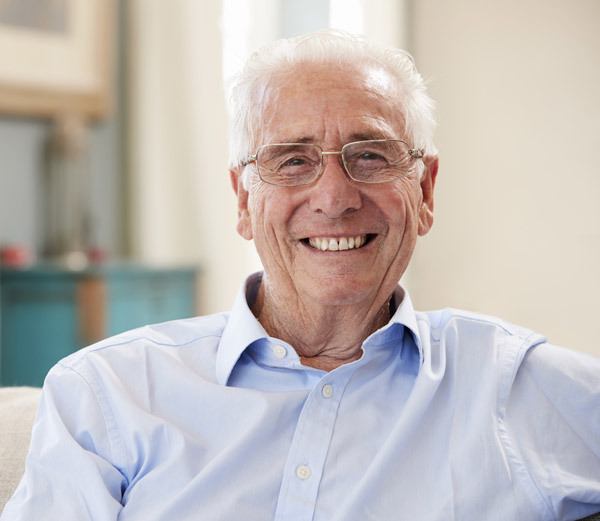 Dentures restore your ability to eat and speak clearly, and help fill out the appearance of your face and profile. A conventional denture is a full removable denture that is placed after all teeth have been extracted, and your mouth has fully healed. An immediate denture is a removable denture that is inserted on the same day the teeth are extracted, so that the tissues have time to heal following extractions. We will take measurements and make models of your jaw before extractions, so that you don’t have to be without teeth during the healing process. The teeth in your dentures are made of plastic and porcelain, and rest directly on the gums over the bone. They can be made to fit over teeth that have had root canals, and a complete denture can be attached to dental implants for a more secure hold. Dentures can feel a bit awkward as your mouth adjusts to them, and may cause some minor irritation at first. Over time, they will also need to be adjusted due to normal wear and changes in the shape of your jaw, so regular dental examinations are crucial for denture wearers. With implant supported dentures, a dental implant is used to securely support the denture. This extra support allows the denture to stay more securely in place. Partial dentures, or dental bridges, are used when a patient still has some of his or her natural teeth. As opposed to complete dentures, dental bridges are anchored to existing teeth. “Great experience! The staff is friendly and attentive. I always hated dental work, but Dr Kimbrough is the best and makes it much easier. I would definitely recommend.” Ashley E.